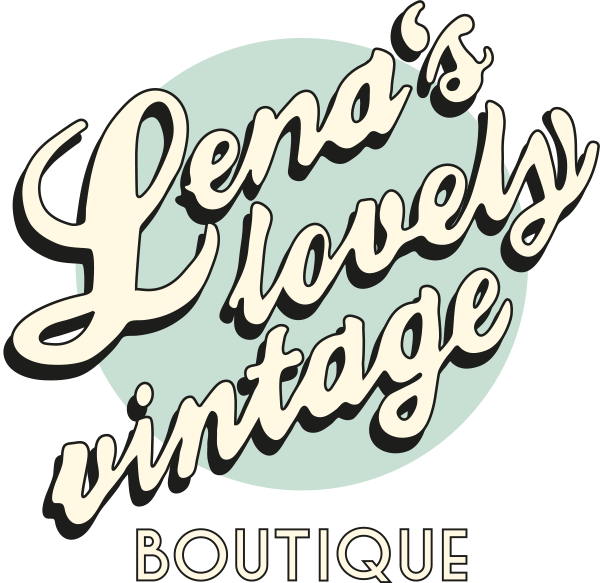 Lena’s Lovely Vintage is a boutique specialising in exclusive vintage women's and men’s wear from the 1950’s to the 1990’s. Each piece has been handpicked and sourced from all over the world. It’s Lena's intention to offer unique, top quality fun to wear pre-owned items that have a story to tell. With a range of 50’s evening gowns to 90’s US sportswear; from high-end designer labels to beautiful retail pieces; from ‘fairytale’ floral dresses to ‘tough biker’ leather jackets, Lena’s Lovely Vintage brings you an eclectic mix of unique and trendy pieces. In addition, you will find an inspirational collection of vintage bags, shoes and accessories to complete your desired look. Enjoy browsing these exceptional vintage fashion treasures in a beautifully designed, fun and friendly atmosphere whilst enjoying a cup of coffee as she offers you expert style advice. The shop is centrally located in the upcoming Potsdamer Straße district in Berlin Mitte, a creative, lively environment, surrounded by galleries and restaurants and nearby the Gleisdreieck Park and the New National Gallery. Lena is a Berlin-born fashion design graduate that made her mark working as an international fashion stylist for 12 years. Her love for vintage fashion began in childhood, discovering her mother’s collection of clothes dating back to the early 20th century. During her years working in the fashion and commercial industry her fascination with and appreciation of quality and individuality that vintage fashion offers became a passion. The idea of combining the true love for vintage fashion and her belief in the need for a more sustainable handling of textile resources led to the inspiration to start Lena’s Lovely Vintage. Come by, have a look, enjoy your time and be surprised and delighted.